Have you seen a karst plateau? White limestones like bands of sheep are scattered all over the gentle hills up to as far as you can see. 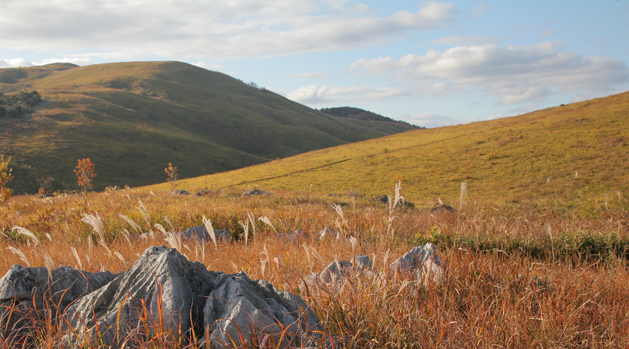 Akiyoshidai Plateau is the country’s largest karst tableland as well as a national-quasi park. Guess what it was? It used to be coral reef far away from here in ancient time. 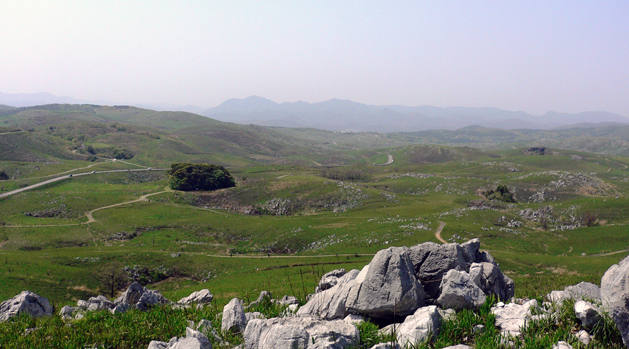 Explore how far up it was raised from the sea and became the karst plateau on the spot. MINE geopark center Karstar will help you solve the mystery. Another surprising thing is that it is a secondary nature. Thanks to the local communities’ hard work to maintain the plateau as grassland, tourists and nature lovers can fully enjoy the view and the outdoor activities in every season: walking, running, botanical observation, star watching, and so on. Or just chilling in the cafe Karstar while enjoying the scenery is also recommendable. 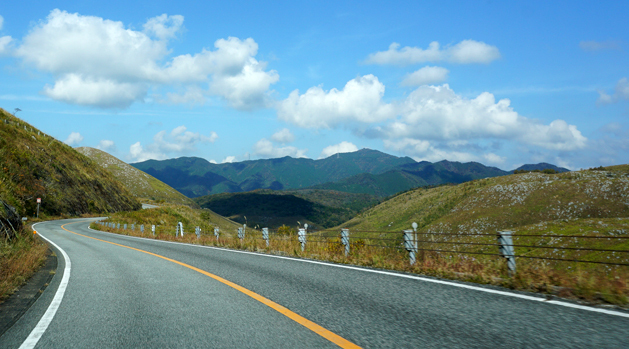 Riding/driving through the “Karst Road” is the must if you come here by bicycle, motorbike, or car. We also have a bicycle-rental service. 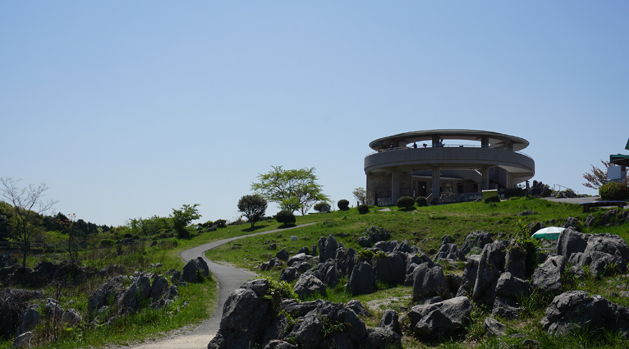 The grassland will show you the beautiful scenery of each season. 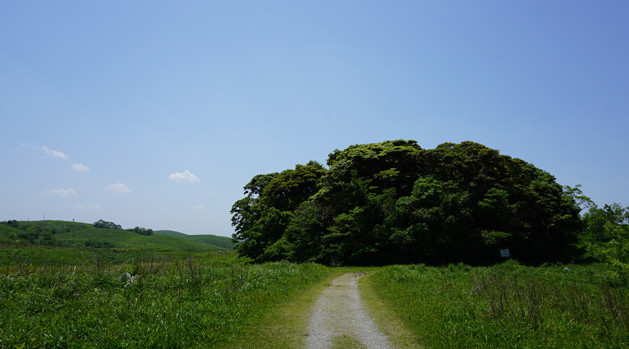 Akiyoshidai for circulator buses/observation deck for "Karst Taxi"
AUTUMN LEAVES From late Nov. to early Dec. *grassland in some areas turns red and yellow. ANNUAL FIRING 3rd Sunday of February *Local communities burn certain area of Akiyoshidai Plateau in order to maintain the grassland. BICYCLE RENTAL Available at the tourist information center. See the details here.